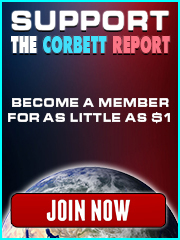 via The Ripple Effect podcast: James Corbett is a researcher, filmmaker, writer, historian, podcaster, & creator of The Corbett Report, which is an independent, listener-supported alternative news source. He is also a documentary filmmaker and returns to the show to talk about his most recent film “Why Big Oil Conquered The World.” Richard Grove is a forensic historian, author, filmmaker, podcaster & whistleblower. He is also the founder of the Tragedy & Hope website & the Peace Revolution Podcast. Richard returns to The Ripple Effect Podcast to co-host and contribute to the “Why Big Oil Conquered The World” discussion. The interview starts at 11:30 if you want to skip the intro. At 33:21 Richard Grove absolutely shines. James, any chance he can be a guest more often or (even better!) get a regular segment, a la “New World Next Week”? I’ll second that thought. Great idea doublek321!! As soon as I saw these three together, I was excited to listen. Great conversation. 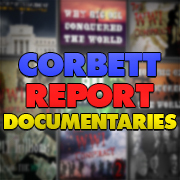 I’d love to one day see a roundtable with James Corbett, Richard Grove and Sibel Edmonds! Thank you for the conversation. I, too, would like to see more of Richard. I would like to point out a few things, if I may, since I am much older than the three of you and witnessed “the beginning of the end” of privacy and social conventions you spoke about. 1. a. When was the beginning of the end for privacy? When the courts ruled that bank records are the property of the banks and NOT the customer, which was a clear violation of the fourth amendment. Note that it does not say where those papers are kept, and that papers are listed separately from houses, ie. not restricted to papers in our houses. Bank secrecy died with Reagan Admin. b. School is another tool for destroying privacy in many ways. Besides using children to snitch on their parents and siblings, children aren’t allowed privacy in the classroom. Witness the writing assignments, and the snooping tests that ask about guns in the home, etc. c. Drug war, then tax “evasion,” then terrorism were the excuses finally to give up privacy altogether. Oh Gawd, I’m so last century. 2. The forced sterilization of the third world may now take the shape of vaccinations, but I know two people who were involved in the stealth insertion of IUDs. One did the work for the Peace Corp, telling the young girls that they were having health exams. The other was a young professional who was violated in this way while in the hospital after the birth of her son. The IUD fell out about a week later, as her uterus returned to its pre-pregnancy size postpartum. How stupid can you get? Today, depression, starvation and war do the heavy lifting for slowing the population growth, not to mention phyto estrogens that make men pussies and give women endometriosis. Don’t forget the low fat diets that effect women’s fertility. And you thought that was just pandering to Archer Daniels Midland. 3. The reason that children don’t know how past generations lived is that the generations are coercively and forcefully separated. Children are in school, parents are at work and grandparents are in retirement “communities” and old folks’ homes. Add to that the brain poisoning going on–autistic children (vaccines) and Alzheimer’s seniors (statins, aluminum). How many old farts physically can tell the grandchildren about what life was like when they were growing up? 4. People being poor doesn’t mean that they are dumb. The upper middle class is a lot dumber in many ways. They are wholly unaware of how the system is rigged against them, and keep following the disastrous plan laid out for them–get the kids into a good pre-school so they can go to harvard, get student loans, get a w2 job, save in a 401k and have everything stolen when they’re old. https://www.newyorker.com/magazine/2017/10/09/how-the-elderly-lose-their-rights. Blue collar workers know they’re being screwed. They look to get back at the system–or “the man”–any way they can. 5. Last note, I was appalled at Ricky’s (host, is that his name?) programmed eugenics attitude toward “bad parents” and the creepy Joe Rogan’s idiotic attitude to the death of privacy. We are doomed. You can blame the baby boomers, but the WW2 generation were the real idiots, It’s looking more and more like the millennials will top them–they’re off to a flying start, that’s for sure. Ugh. Did I just hear Richard Grove say that America is the bestest Free nation the world has had, it’s just that it hasn’t been perfected yet? Really? Haha, now that’s funny. Geez man, who won the civil war? Is the south more free after the war, or before the war? Sure, Blacks will say: “yeah of course we’re more free”, but then the David Dukes of the south will say: “no way are we more free, we need to return to 1776 America”. Also, when was the Federal Reserve Bank created? Created for freedom right? Who introduced the social policies known as the “new deal”? Who put the final nail in the Republics coffin in 1971, when he decoupled the US dollar from gold conversion, thereby creating the American Empire? Did Richard Grove ever asked any Native Americans if they thought the white man came to bring them freedom in 1776? Haha. Is this the kind of incremental “perfectionism” he’s referring to? Regarding Population, for example in the US, a developed country where women have reproductive rights, and as James pointed out, if it weren’t for immigration the US population would be in decline. If the oil-oligarchs plan is to depopulate the world, then why are they pushing immigration then? Let’s say America stopped immigration all together, and their population started to drop naturally, because people are just simply not having as many children by choice, via birth control pills, tubes tied, condoms, the pill, vasectomy and abortions…how is this a bad thing? — Well, stopping immigration is bad because population growth is what is needed to grow the workforce, which in turn helps pay for social programs like social security, and a growing population also means more consumers, which helps grow corporations wealth via the stock market. So, to sum it all up, yes it’s true, there are people that are in positions of power and control (always been, always will be), and they used oil as a way to consolidate their control over countries all over the world, and are now, it seems, ready to push these countries to transition from petroleum energy to a more environmentally conscious energy source, not because they want to kill us all. The only renewable that actually works most of the time is hydro, but we can’t use that because of the snail darter, don’t ya know. Alt energy is not propaganda. Air pollution is one of China’s and India’s biggest health threat, so when China set a 2019 deadline for global carmakers to meet new quotas for electric cars and/or plug-in hybrids, this will have an immediate positive impact on air quality. As of September 2017, India’s solar grid had a cumulative capacity of 16.20 GW. 3rd behind China and the US –wikipedia. This is where the power will come from to recharge the batteries. The world is moving away from the US petrol dollar, and the world is investing and leading the way in renewable energy, it’s a fact. Each country will play to their own renewable energy strengths given their geography etc…, whether it be solar, hydro or wind. Wow, you so believe in magic! How do you think they make the electricity that comes out of the outlet where the car is plugged in? Is it magic? No, it’s COAL FIRED POWER PLANTS, THE ONES CAUSING ALL THE AIR POLLUTION. The amount of energy currently produced by solar is negligible. Yes, solar is growing quickly, but from a tiny base. Economy-wide power cannot come from solar panels because, as I said, there is not enough insolation–amount of solar energy–in the northern hemisphere. There are the problems of weather and…. wait for it…. night. What that means is that the batteries required–ya know, those chemical filled boxes full of all kinds of toxic heavy metals that have to be mined and later disposed of–would be YUGE AND NON ECONOMIC. The world may be moving away but due to politics, not due to the efficiency of alt energy. This is a trick from the powers that be being played on unscientific, illogical people who ooooh and aaaaaah at enviro-sounding stuff. It’s nonsense. And it will make us poorer because there will have to be redundant systems. Alt energy is indeed propaganda. You said: How do you think they make the electricity that comes out of the outlet where the car is plugged in? Solar is replacing coal in China and India, this isn’t propaganda, it’s a fact. I guess you skipped over “This is where the power will come from to recharge the batteries.” in my first post. PeaceFrogs, Check into the costs of manufacturing those solar cells and batteries, including the mining costs for minerals like Lithium…as if there is enough Lithium in the world to supply the electric car “revolution”. Graphene might become viable or possibly Perovskite. Another dilemma for solar is “when the sun don’t shine”. FYI, the wheels are already in motion (have been for a while now), there is no turning back, no matter what Trump says or does. Cost of solar is dropping fast, thanks to China and India. What I just don’t get from some of you here at the CR is that some of you say you’re “individualists” or “anarchists”, and that you want to move off grid to escape the coming technocracy, and here’s a great opportunity for individuals to really go off the grid, yet you’d rather keep using coal and petrol, knowing that the Oil-garchs have used coal and petrol to enslave us. WTF?! Me thinks some of you are “secretly” working for the “deep state”. ccuthbert2001 says: There isn’t any “more environmentally conscious energy source.” That’s a myth. I tend to agree with ccuthbert2001. Wind/solar have many drawbacks towards a viable cost-effective, environmentally friendly alternative. Battery technology also at this time has many downsides. Another keynote to mention is that often these sources are “centralized”. A primary method of control is to have people on the grid. Any type of utility really (water or sewer or electric or gas), unless it is a small community where they join together on a co-op. Something which would really rile “The Powers That Shouldn’t Be” would to be for people to cheaply and easily move away from the electric grid, where they generate their own power viably. Decentralized energy. I have been to small rural homes which had a windmill source of electricity. Dang, That constant swishing noise would drive me nuts. In 2008, I was doing some research for a college project. I called a company which was doing the Wind Turbines out around Abilene, Texas. It was about a 40 minute interview. He told me that it cost over a million dollars a mile to run the electric grid lines to these turbines. So geez! Run those line 200 miles to a metropolitan area at $1,000,000 a mile?! It is a complex business…can’t produce too much power during certain times, shutting things down, different market prices on electricity throughout the day, etc. The power companies of a grid often actually buy/sell electricity hourly/minute-by-minute on an exchange type set-up. And of course, I don’t know how people can stand to live around that noise pollution, bird chopping and whatever. Those cows must really get annoyed. Those wind turbines can be huge, where a guy can walk around inside the unit like it was a living room. Who knows if this will take off? A 2017 article which talks about protecting the integrity of the cell from weather. Alcohol can run your car. Most cars don’t need a conversion. The cost per gallon can range from 40 cents to $1.50. Here is an average guy who made a still which produces about 100 gallons a day. During the distillation process of alcohol production CO2 is given off. This can be fed into a greenhouse to accelerate the growth of plants and to also kill off the bugs. (Note: Greenhouses sometimes will purchase a CO2 machine for this purpose.) The mash left over from the alcohol production can be fed to fish, which in turn can be sold commercially. The fish poop can be used to fertilize the greenhouse plants. Corn may only get 250 gallons of MOONSHINE an acre, but cattails could get 10,000 gallons an acre. Here David Blume gives an agoristic/anarchist approach to ending the petro-dollar. I have always envisioned a voucher for Moonshine Gallons. There is an entire “little community” which can be built around homemade alcohol production with many interchangeable products and/or co-op. ~ The farming of crops for the alcohol production, or the collecting of garbage for the alcohol production. ~ The growing of organic plants from alcohol production. ~ The raising of fish or crawdads from alcohol production. ~ Fertilizer from alcohol production. ~ Pest control from alcohol production. ~ Livestock feed from alcohol production. The interchanges within the community could go on and on, with people utilizing a unit of value scrip (gallon of alcohol) to pay for the home repairs or to pay for car maintenance or get a haircut. People easily have a reference point of value by seeing the price of gasoline at the local gas station. Solar panels, are becoming cheaper and cheaper, (thanks to China and Indi mass producing this technology, and the energy storage is closer to mass-market adoption, meaning for millions of people world wide, going off grid will be affordable and practicable. This is my last post on this topic since there is no point in wrestling with a … I’ll say “true believer.” So, lucky you, you get the last inchoate word. None of your arguments hold water. If these technologies were credible alternatives, they wouldn’t need the endless subsidies. Solar panels, batteries and wind mills are old tech. The best that can be achieved is incremental improvements. They are bumping up against physics. In the fullness of time, this psyop will be even MORE obvious than it is now. Will the true believers still believe? Of course. That doesn’t make them right. It just makes them look silly, clinging to their beloved ideology. Good luck with that.